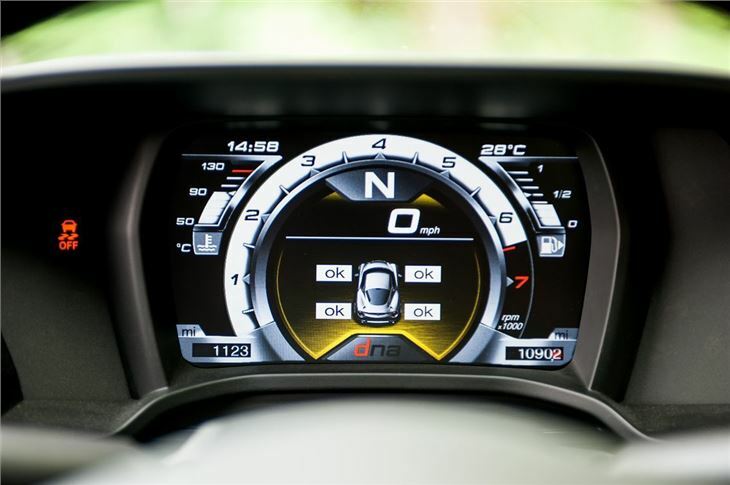 Impressive performance from 1750 turbocharged engine. Exotic specification of carbon fibre tub construction. Good looks and rarity. Engine sounds terrible. Interior lacks quality for something costing £45,000. Heinously over-active steering requires constant corrections. 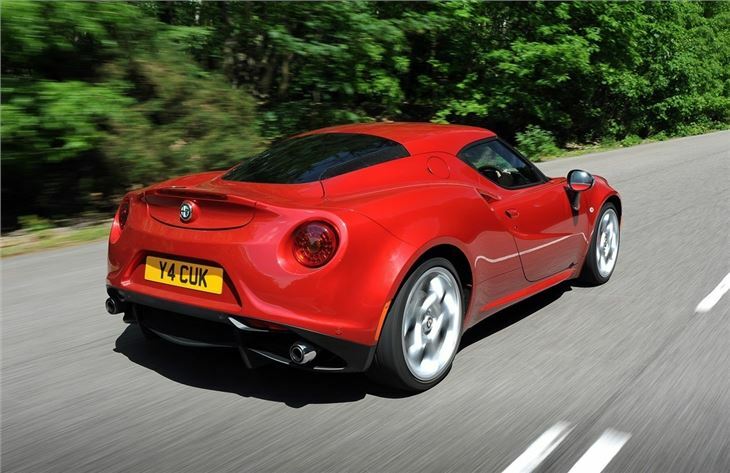 You could almost hear the collective intake of breath from Alfa Romeo fans worldwide when the 4C was first shown in 2011. 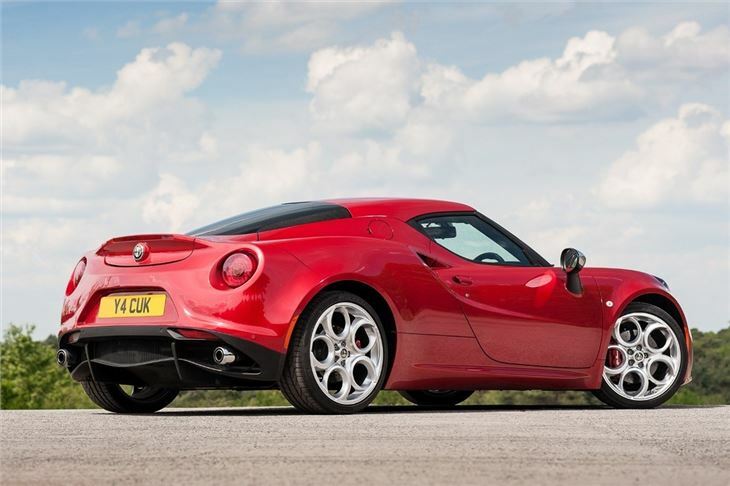 Following the short-run, high-cost, if not fantastically received 8C Competizione, the 4C gave some hope to those seduced by the Italian brand that they might finally have something attainable worth saving for. Forget sharp-looking Fiat-in-disguise models like the Giulietta and MiTo. 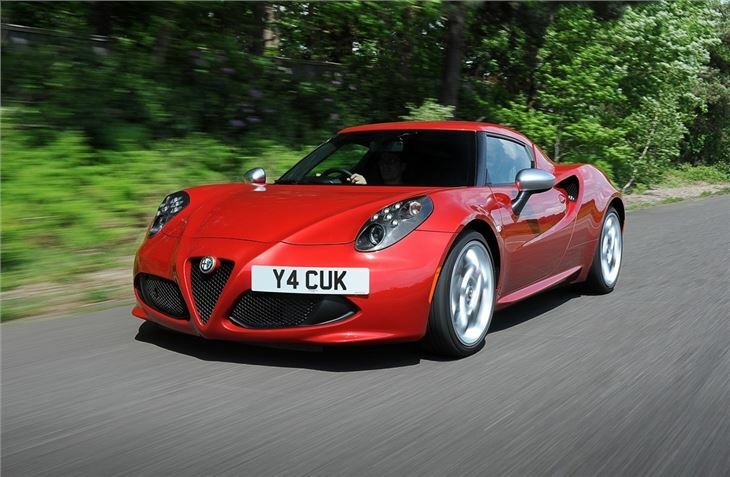 The 4C is a proper, bespoke sports car, that’s lightweight and gorgeous - if you ignore the woeful Gary-from-Halfords-designed headlamps - mid-engined and rear-wheel drive. A proper sports car. And to many a proper Alfa. Much of the 4C’s appeal centres around its construction. It features a carbon fibre tub, which might not mean anything to you, but it’s what Formula One drivers sit in. Indeed, the only production cars to feature the same carbon fibre tub construction include the McLaren 650S, Lamborghini Aventador and a handful of other mega-money exotics and supercars. The 4C’s construction really does put it among some very rarefied machinery indeed. 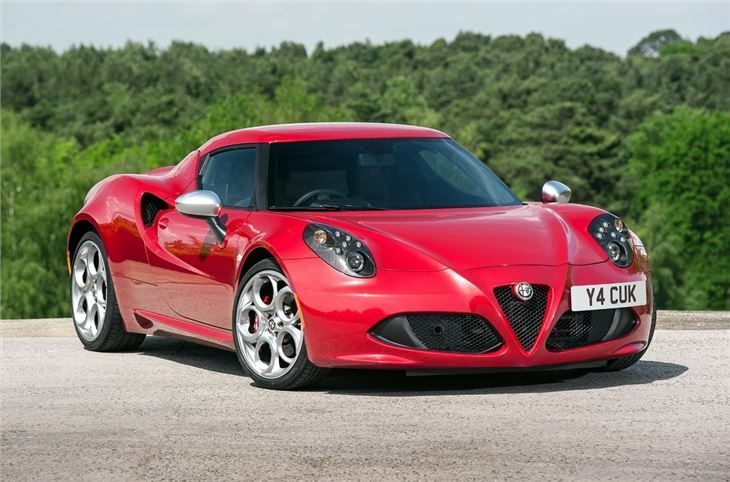 In that company then the £45,000 Alfa Romeo asks for the 4C looks like something of a bargain. Making that price possible does mean that much of the parts hanging off that fancy carbon fibre tub are used elsewhere in the Alfa Romeo line-up, but the attention to detail remains impressive, regardless. The mid-mounted engine, introduced with the 4C, is an aluminium 1750cc direct injection turbocharged unit, that lightweight build allowing it to drop some 22kg in weight over the same output and capacity engine in the Giulietta QV. 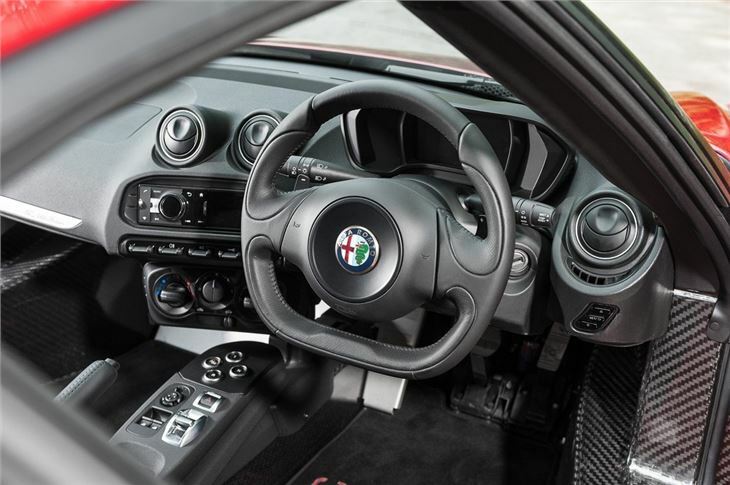 That dedication to weight reduction sees the 4C boast an unladen weight of 895kg, all of which means the 240PS and 350Nm of torque the 1750 turbocharged unit produces is put to very good use. 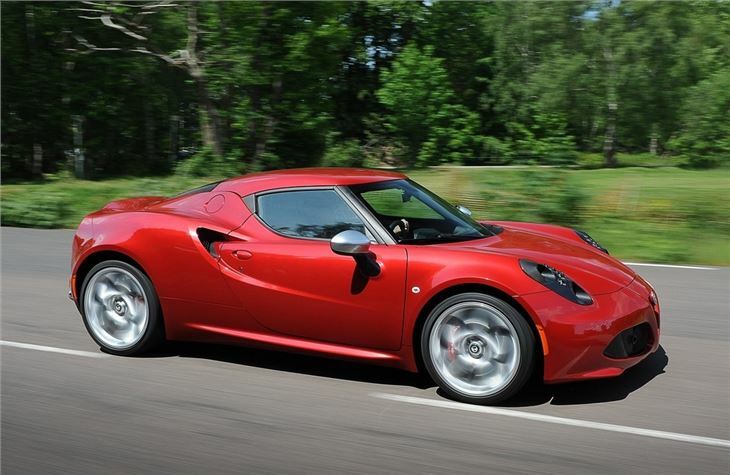 Acelleration from 0-62mph arrives in just 4.5 seconds if you use the launch control, the 4C’s acceleration aided by the rapid shifts from the paddle-shifted automatic twin-clutch transmission. All that performance and lightweight does come with some compromises though. The 4C is a very single-minded machine, its focus on its featherweight build much in the same vein as the Lotus Elise, only here it’s arguably more compromised. The cabin is tight, vision out of it heavily restricted and it’s pretty austere looking. But then the 4C isn’t likely to be bought with commuting and daily drives in mind, so such focus is entirely forgivable. And doubtless appealing to the sort of buyer looking for the sort of thrills the compact, lightweight two-seat 4C promises.